In order to best guide our children towards a path of future success, we must be in the moment. We must be in full control of who we are, what we do, who we’re helping, and why we do what we do—our purpose. We are the mentors and shepherds of the herd. We teach, guide, motivate, and help our children, our mentees, and our students from love and nurturing. We do these things to assure that all of our children the tools and mindsets necessary to succeed in life. As our young people grow we want to impart our wisdom and help teach them the ability to also be mindful. Mindfulness is the # 1 key to helping others succeed. In doing so, we must be aware of the actions we take, or else we will be directing our children and students on a path that might not be whole or healthy for their well-being. In my many years as learner, and as a teacher, one of my best practices was to always focus on observing other – – educators, parents, leaders, bosses and all of those that shared the commonality of awareness, self-control, and of course how they put mindfulness into practice in their daily lives. Knowing the outer world and how its functions teaches us how to act in the world we live in. Defining what is in order and what is in chaos, understanding the cause and effects of certain events. Utilizing strategies to solve problems without judgment. These all require knowledge of the presence of where you are. You must be conscious and aware of others energy and how they live their life. To solve a problem or accomplish a certain goal requires knowing the steps and techniques of that goal and how they work. Knowing the inner world also depends on being mindful. The inner world is the self; the individual. How your own way of thinking and decision-making takes place, is based on how your surroundings affect you. It’s important to know that you can’t change everything the outside world presents. You could, however, find a way to shift your mindset to function within your own comfort zone. To help yourself you must know yourself. You must know how you react to things and the things you are attracted to. One thing is for sure— you’re in control of your routines, your behavior, personality, and the goals you set for yourself. Once you know the essence of yourself, you’re able to understand why you do the things you do. By simply living to your fullest and being mindful of your actions and that of others, you will naturally influence others to shift their thinking. Understanding what can be done gives us a roadmap to how we should teach and raise our children with mindfulness. Our youth are grossly over informed and connected, yet they’re also the ones who don’t know what to do in critical decision-making moments. The act of two forces combing into one is called “synergy.” If we can somehow connect with children and begin to understand how they think, then as a coach, teacher, or parent the impact and synergy become unstoppable. Steven Covey onces said, “Listen with the intent to understand, not with the intent to reply.” These are wise words that we as adults can put into practice on a daily basis. Understanding how it can be done is another key ingredient to becoming mindful. Understanding how something can be done is essential to changing the mindset you live in. Understanding “the how” things get done is one thing, but understanding how to motivate youth to aspire and be self-driven towards a goal is a critical skill we can all learn. We must know our youths capacity and how they can achieve things that are significant and meaningful for them. This is what brings happiness in life. A mindful child has a very bright future. 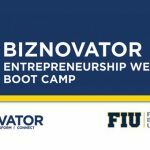 BIZNOVATOR is a youth empowerment platform that offers a year-round experience for young people interested in entrepreneurship, social innovation and global leadership. 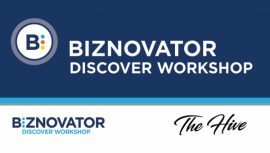 Through our seminars, workshops, summer camps and in school Academies, BIZNOVATOR helps young people to DISCOVER their purpose, TRANSFORM their mindset and CONNECT to their future. 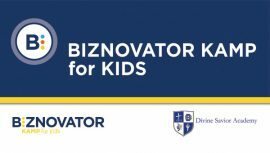 We have recently launched our Online Learning Platform, www.mybiznovator.com which enables young people from all over the world to experience our unique BIZNOVATOR programs. We invite you to join us! 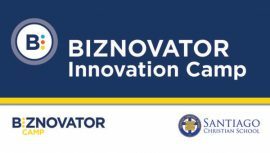 Juan Pablo Casimiro is Founder and CEO of BIZNOVATOR. With more than 30 years of empowering youth and adults globally, Casimiro never misses a moment to teach, coach and challenge his clients to live their dreams. Casimiro was born in Dominican Republic and grew up in New York City.